NACE International’s annual conference, CORROSION 2019, will draw more than 6000 corrosion professionals from 70 countries to Nashville, Tennessee this March. The world’s largest corrosion conference and exposition provides attendees with a week of learning, networking, purchasing, and sales opportunities. All of us here at NACE are working to bring you our best conference yet, and we look forward to seeing you in Nashville! Explore over 400 exhibiting companies showcasing their latest products, technology, and services. Visit our newest feature on the 240,000 square foot show floor, The Coatings Experience, which will reveal the ins and outs of application, surface preparation, inspection plans, and coatings in a unique, interactive way. Hear from experienced industry professionals as they share their stories of successes, failures, and remarkable incidents from the field, along with insights into case studies at the Corrosive Chronicles Theaters. Support the next generation of corrosion professionals by attending networking events benefiting the NACE Foundation. Get your blood pumping at the 24th annual NACE Race, sink a hole-in-one at the 2019 Darrel D. Byerley Memorial Golf Tournament, or hit the dance floor to celebrate the 2019 Foundation Award winners at the GenNEXT Bash. Gain insight into career advancement through personal and professional development strategies. CORROSION 2019’s new Leadership Forum will deliver insights on how businesses can increase collaboration among industry newcomers and experienced pros. Peer into corrosion’s crystal ball along with keynote speaker, futurist Jack Uldrich as he delivers a provocative new perspective on competitive advantage, change management and transformational leadership. Uldrich brings to light the advantages of being creative and using the powers of individual imagination. Increase your corrosion knowledge and gain Professional Development Hours (PDHs) by attending any of the 40+ technical symposia and forums. Don’t miss our newest addition for hands-on learning, the Protective Coatings Workshop will feature best practices, new techniques, and emerging technologies in the coatings industry with industry experts and coatings manufacturers -- plus practice your skills and earn CEUs and/or PDHs. Kick off CORROSION 2019 with a night of live music, fun, and southern hospitality with your “CORROSION Crew” at the Nashville Underground in Nashville’s famous Broadway District. 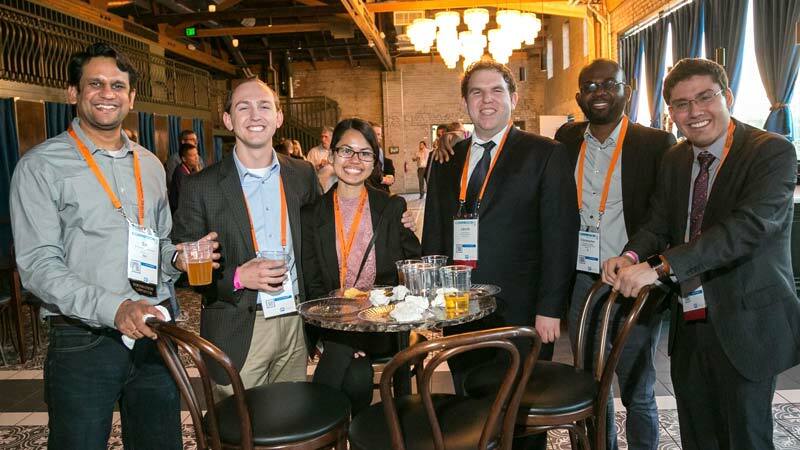 And don’t miss any of the dozen opportunities to mix and mingle at daily networking events tailored to build strong connections between industry peers. Monday’s 5 p.m. kickoff of the 2019 CORROSION grand expo was headlined by the annual ribbon-cutting ceremony. Wielding larger-than-life scissors, NACE International President Jeff Didas opened the Exhibit Hall, and delegates flowed in to check out the hundreds of technologies and services on display. The NACE International Institute Contractor Accreditation Program (NIICAP) is a robust accreditation program endorsing those contractors who have undergone auditing and have a documented record of meeting owner requirements. For the second year, NACE International will host an interactive Leadership Forum during CORROSION 2019. Scheduled for Monday, March 25 from 8 to 11:30 a.m., followed by a luncheon, Bridging the Gap with Effective Leadership will provide the opportunity for attendees to learn from those who set the direction of their businesses and use their management skills to effectively guide teams to reach organizational goals. Participants will gain valuable insights and leadership skills that will enhance their personal and professional lives.